The province of Rome is situated on the west coast in Central Italy and is home to the largest number of people in the country. Naturally, one of the main attractions in this part of the country is the city of Rome itself, although the southern part of the province also boasts some gorgeous sandy beaches and this is the perfect place for guests to experience luxury camping. Why Should Visitors Arrange a Camping Holiday in Rome? 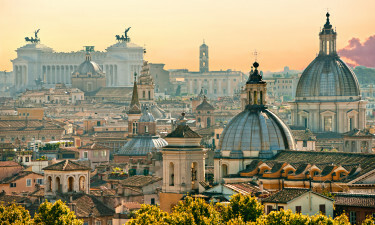 From golden sandy beaches to rolling hills and valleys, Rome is a real paradise for nature lovers. However, culture vultures will also be satisfied as the big city offers plenty to do, see and experience. Visitors will soon discover why most Italians choose to live in this part of the country and why it is an excellent destination for luxury camping. People who book fantastic accommodation at this luxury camping site will soon discover what makes this leading LuxCamp so fabulous. The heart of Rome is conveniently close, while the beautiful beaches in the south of the province are also just a short drive away. Even sightseeing tours of the nearby cities and prominent attractions are organised by staff. Anyone wise enough to enjoy a stay at I Pini will be treated to a stunning countryside retreat set in a beautiful forest. 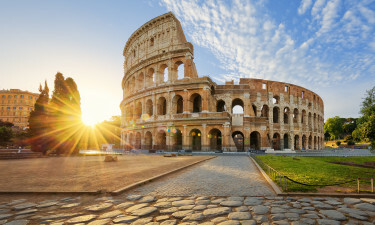 Rome is conveniently close to this site and guests will be able to divide their time between exploring the city and taking part in an impressive range of sports and leisure activities right on the site itself. This province boasts abundant natural beauty, as it is set in the picturesque Tiber Valley which features several large and lovely lakes and is framed by a dramatic mountain backdrop. Ostia can be found in the south of the province is home to a whole host of stunning sandy beaches for sun worshippers to enjoy during their time in Rome and a number of leading LUX-camps can be found close to the sand. 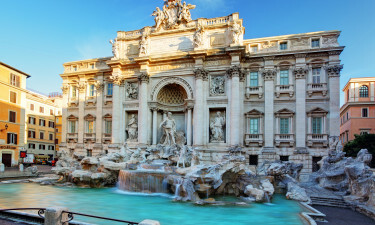 Naturally, the city of Rome is the main attraction here and this mighty metropolis is packed with historical and cultural attractions. 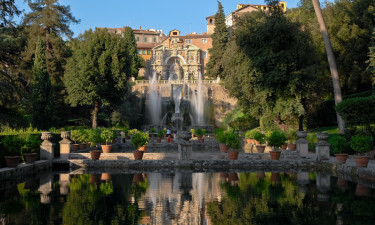 Spiritual seekers will also be able to take a trip to explore the unique Vatican City, while the ancient ruins of Pompeii can also be found in this part of the country. 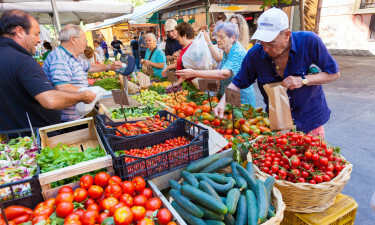 No trip to Rome would be the same without sampling delicious Italian cuisine such as the signature Roman pizza with its micro-thin crust and less abundant toppings than some tourists may be accustomed to. Pizza al taglio is another popular regional variation, while other local treats to sample include battered salt cod and suppli, which is fried rice balls stuffed with tomato and cheese. Slurping ice cream and sampling Italian wine are other treats that should also be indulged in while enjoying the dolce vita in Rome. The province is graced with a Mediterranean climate, which is used marked by hot and dry summers and cool winters with sporadic rainfall. The coastal winds that blow from the Tyrrhenian Sea help to moderate temperate in the southern part of Rome and make it fairly cool all year round. Autumn and spring are also pleasant times of the year to arrange a camping holiday in Rome.